What do the Mediterranean, legendary movie stars and Roman gods have in common? They’re all part of the adventure on Amalfi Coast Tour from Rome. Located on the Sorrentine peninsula the Amalfi Coast is one of the world’s most popular destinations and a UNESCO World Heritage site. Few visitors can resist the temptation for a relaxing swim in one of the many village beaches along the coast whilst high up in the mountains there are stunning trails and nature walks. Hiking the Path of the Gods is like stepping back in time to the days of Olympus with panoramic views out across Cilento and the Island of Capri. 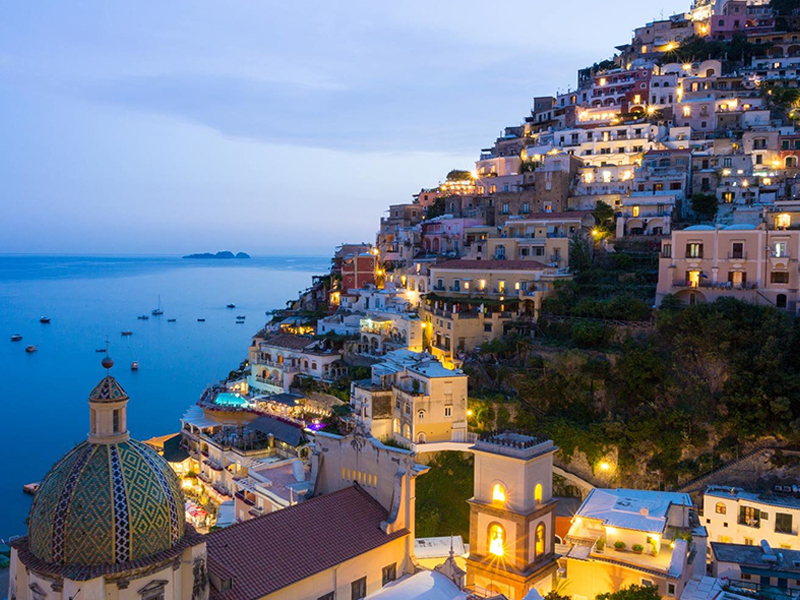 The Amalfi Coast has long been a favorite haunt for the rich and famous including screen legends such as Greta Garbo, Humphrey Bogart and Elizabeth Taylor. Jackie Kennedy’s frequent shopping trips put the town of Capri on the map and her famous Capri pants are still available to buy at La Parisienne, the shop where Jackie bought hers. Tours of Amalfi Coast with a local guide are the best way to explore the region. Rome City Transfers Amalfi Coast Tours from Rome are tailored to meet each client’s individual interests and Rome City Transfers also offers Pompeii tours from Rome. 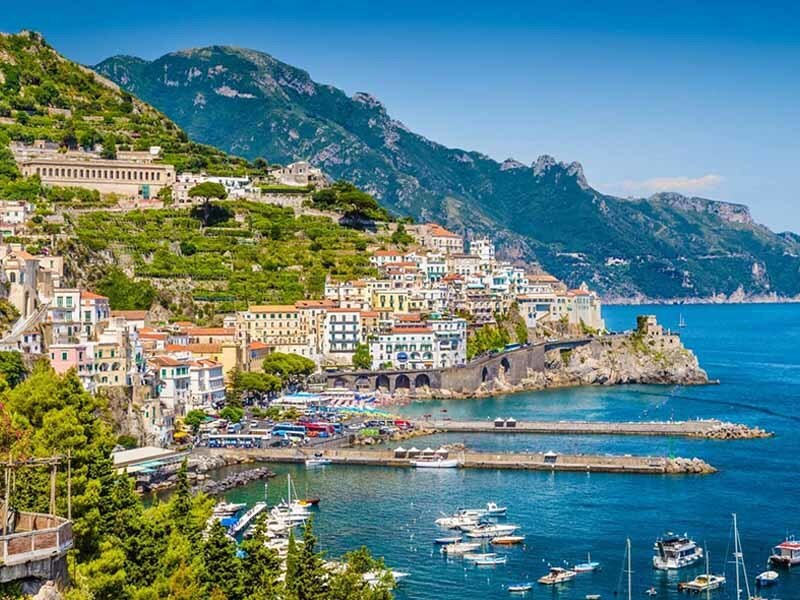 The Amalfi Coast tours from Rome generally start with a pick up by a dedicated driver in a private car from the Fiumicino “Leonardo da Vinci” Airport. This is a great option for Rome Airport transportation that avoids Rome Cabs. From there the tour takes the Salerno Reggio Calabria highway to Amalfi passing through the beautiful Viestri sul Mer. Italy is famous for its food and every town has its own speciality. With Rome City Transfers Amalfi Coast tours from Rome the serious foody gets a local guide to the culinary highlights which include fabulous fresh seafood, mouthwatering pastas, spicy sausages, goat’s cheese, rich chocolate cakes and pastries. 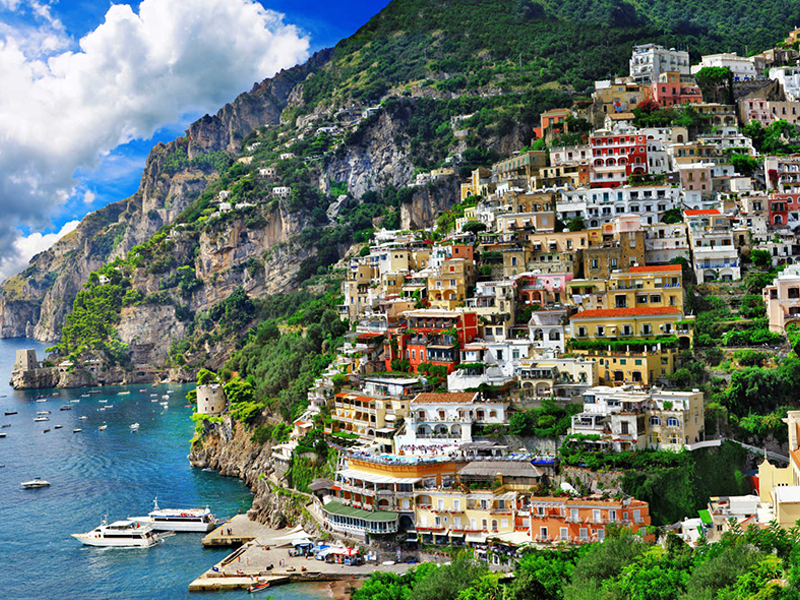 Amalfi is particularly well known for its traditional Limoncello liqueur, a sweet tangy digestive made from locally grown lemons. For the architecture enthusiast some of the most notable landmarks to be seen on Amalfi Coast Tour from Rome are the cathedrals and churches. The stunning Arab Sicillian Cathedral in the town of Amalifi, and Ravello’s 9th century Cathedral are just two of the treasures waiting to be discovered. 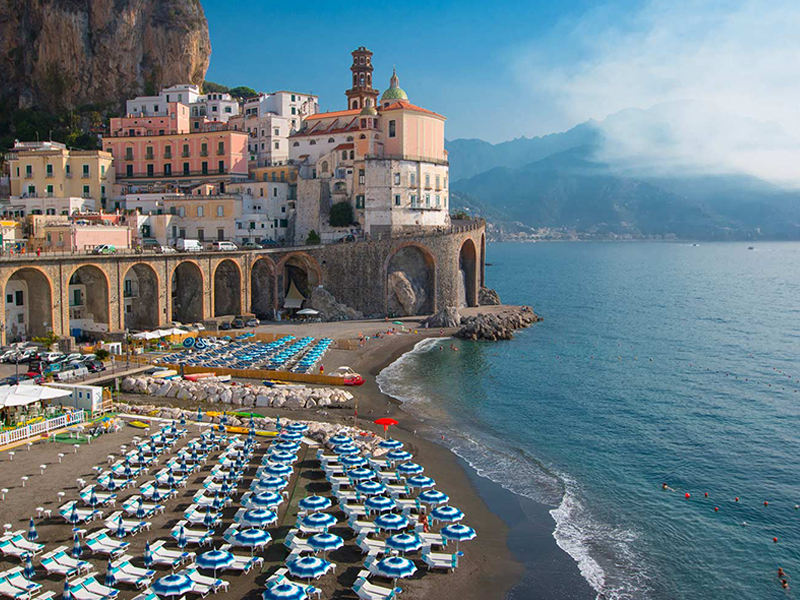 Book Your transfer to Amalfi Coast with 1 click..